SIKESTON, Mo. – Bullfighting is more than a leap of faith for Beau Schueth, but he doesn’t mind jumping into the action. 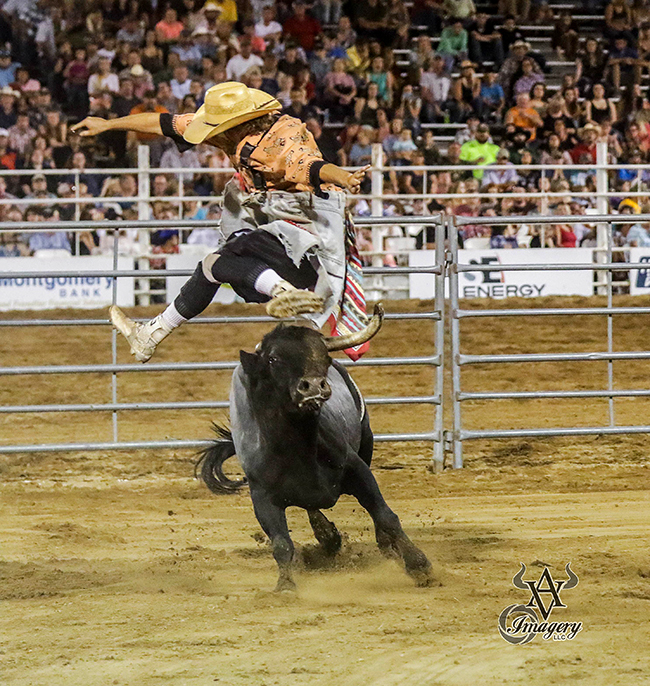 It paid off Friday night to the Bullfighter Only tour victory during the championship round in conjunction with the Sikeston Jaycee Boothill Rodeo. The O’Neill, Neb., man scored 89 points to win the title. “I’ve been in kind of a slump the last couple events I went to,” she said. “To finally get another win under my belt means a lot, and there’s no better place to do it than Sikeston. It’s an awesome rodeo, and the committee’s great. It’s just a fun time. This is my second year there, and I hope to be able to go back next year. It also helped that Schueth was matched with an aggressive bull that was on point throughout the fight with Hookin’ A Ranch’s Shed Hunter. With half the score coming from the animal, the Nebraskan knew he had an opportunity to take the title. “He’s a super-hot little bull,” Schueth said. “He was coming with it right out of the gate and for the first 20 seconds. Then it calmed down and settled into a grove. I got some step-throughs and started breaking him down. He earned his spot in the three-man championship round by eliminating Ross Hill in the tournament-style format. He was then matched with the other two winners, Chuck Swisher of Dover, Okla., and Weston Rutkowski of Haskell, Texas. With the fight, Schueth sits solidly in the top five of the Bullfighters Only standings. He’d like to cash in a little more before the BFO finale, which will take place Dec. 1-4 in Las Vegas. “I was planning on being one of the contenders for the BFO world championship, but I’ve fallen down in the standings,” he said. “Winning Sikeston helped bring that goal back. I just want to be in the mix with all the top bullfighters going, and so far, it seems like I’ve been able to do that. He’s earned that spot one bullfight at a time.